Crown Prince of Dubai and Chairman of Dubai Executive Council His Highness Sheikh Hamdan bin Mohammed bin Rashid Al Maktoum witnessed the signing of agreements between Smart Dubai and a number of government entities to implement the Dubai Digital Certificates initiative. The entities that inked agreements with Smart Dubai include Dubai's Supreme Legislation Committee, the Department of Economic Development (DED) and the Department of Land and Property. The accord follows directives from His Highness Sheikh Mohammed bin Rashid Al Maktoum, Vice President and Prime Minister of the UAE and Ruler of Dubai to government institutions in the emirate to work together to preserve its digital wealth. It also implements the instructions of H.H. Sheikh Hamdan bin Mohammed to issue the Dubai Digital Certificates and implement the Dubai IoT Strategy, which, in addition to safeguarding digital wealth, will help create a paperless future government that does not require service centers, by 2021. The agreements also align with Smart Dubai's strategy to achieve the objectives of the Dubai Digital Wealth initiative, benefit from the emirate's advanced digital infrastructure and harmonize efforts across government institutions to transform Dubai into the happiest and smartest city in the world. "Dubai excels and stands out in converting vision into action in record time on all fronts and these MoUs are a testament to our commitment to put the Digital Wealth initiative into effect," said Her Excellency Dr. Aisha bint Butti bin Bishr, Director General of the Smart Dubai Office (SDO). "We will begin issuing Digital Certificates to safeguard our digital wealth and provide people with greater safety and convenience." 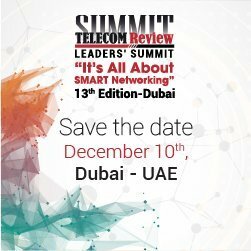 "Smart Dubai received immediate responses from government entities and institutions in the emirate. Officials and employees were enthusiastic about playing their part in implementing the directives of our wise leadership," Dr. Aisha added. 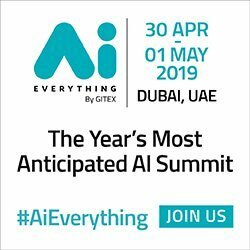 "The partnership agreements we've signed are one step among many that will be announced as part of our roadmap to safeguard the emirate's digital wealth, make the digital certificate a core element in people's life and fully implement the initiatives including the IoT strategy by the year 2021." Meanwhile, His Excellency Ahmed Bin Meshar Al Muhairi, Secretary General of Dubai's Supreme Legislation Committee, said: "The signing of the Memorandum of Understanding (MoU) between the SLC and Smart Dubai is part of the ongoing cooperation between various government entities in Dubai to further develop government operations and enhance government procedures through the adoption of the latest digital technologies and services." His Excellency added, "The SLC remains steadfast in its commitment to support all initiatives that promote the digital transformation of Dubai, which is part of our vision to develop an integrated system that supports the emirate's sustainable development plans and contributes to creating a unique legal environment that is in line with Dubai's ultimate goal of being one of the happiest and smartest cities in the world." For his part, His Excellency Sultan Butti bin Mejren, Director General of Dubai Land Department (DLD), commented: "This agreement complements our smart achievements to activate ‘Digital Certificates' through ‘Blockchain technology'. The results of this agreement represent a real leap forward in the real estate world, making DLD the first government entity in the world to implement ‘Blockchain technology' in its operations." "DLD's database is now ready to work with this technology," Bin Mejren added, "which will allow us to offer many of our services, especially those related to rent, in an easy, flexible and quick way for the benefit of our customers. This move is perfectly aligned with the vision of our leadership to make Dubai the smartest and most exciting destination in the world, as well as our vision for Dubai to be the first choice for real estate investment, business and residence." On a similar note, His Excellency Sami Al Qamzi, Director General of Dubai Department of Economic Development, said: "The Digital Certificate initiative is another achievement that supports Dubai's aim to be ahead of the world's most advanced cities, transforming itself into a city that invests in technology and applications to give its people an unprecedented human experience." "The Dubai Economy Group will set a clear mechanism for activating this partnership in line with the directives of H.H. Sheikh Mohammed bin Rashid and his belief in the advanced methodology of government work in the UAE, which is based on quality and excellence at all levels. The intelligent transformation of government services will be reflected on society, which will contribute to the latest developments in the digital world," Al Qamzi added. The Strategy seeks to create a stimulating IoT-powered environment, which catalyses the establishment of the most advanced digital infrastructure in the smartest city in the world. The strategy aims to protect digital wealth in Dubai, in an effort to encourage government departments to join the emirate's smart digital transformation and achieve the objectives of the Smart Dubai Plan 2021 to transform into a 100% paperless government.